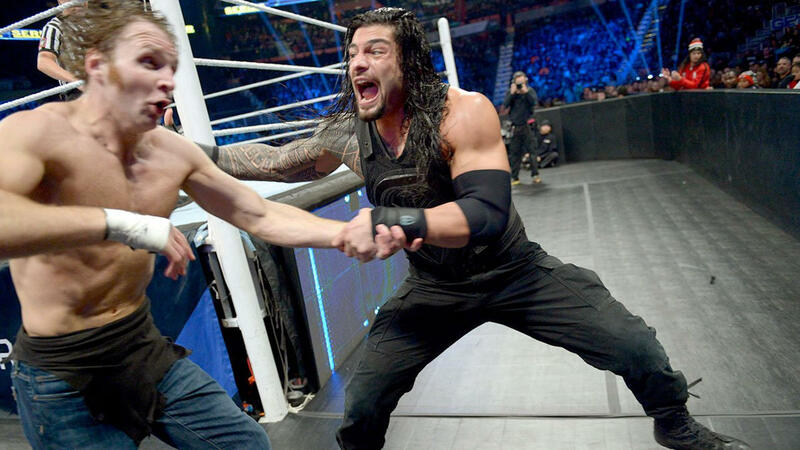 Roman Reigns may be at the end of his rope with WWE. At this point, the purveyor of the Superman Punch only has two options left in his career — turn heel or quit. Unfortunately, his employer has shown little interest in making him a bad guy, which would undoubtedly freshen up a character that has been stale since sometime in 2014. Therefore, Roman is left with the latter, and it may not be that crazy of a choice. Before getting into the case for Reigns leaving the WWE, it is first necessary to acknowledge the naysayers. You are certainly entitled to that opinion, but allow a few moments of explanation. Roman Reigns quitting the WWE would actually be the best long-term move for his career. Here’s why. The “smart marks” know exactly what WWE is up to with their presentation of Roman Reigns, and they hate it. Earlier this week, Cageside Seats reported unconfirmed rumors that WrestleMania 34 will be Roman Reigns vs. Brock Lesnar for the Universal Championship, and word is, this will be the “coronation” of Reigns. Unsurprisingly, the comments got so ugly that they’re not even worth going in to. World Wrestling Entertainment is making the mistake, as Jim Cornette pointed out in Episode 184 of his podcast, of trying to manufacture a superstar in Reigns, and they’re ignoring their own past successes to do it. Hulk Hogan, “Stone Cold” Steve Austin, The Rock, and John Cena all got over not because of anything the company had done, Cornette noted, but because they had connected with the fans on their own. As audiences get wiser to the product, they feel as if the company is treating them like lemmings with their Reigns-or-nobody approach to superstar-building. That is not going to do Roman any favors now or in the long run. Why? Because the longer he follows the company’s lead, the more he will be seen as part of the problem, no matter how unfair that is. Roman Reigns has fans in Cornette, Jim Ross, and a number of other wrestling old-timers, who frequently compliment his “look” and skills in the ring. His pay-per-view matches regularly break into “This is awesome” chants. But at the end of the day, there are more boos than cheers by a landslide. Many of those fans behind the boos are not so much booing him as they are the situation. They know he’s stale. They know they’re being force-fed. That said, they would be open to booing his character instead of his person if the company would pull the trigger on turning him. If WWE is not going to do that, Roman would be well-advised to look elsewhere. It will not earn him as much money in the short run, but with New Japan and Ring of Honor and a thriving independent scene, and the notoriety his stint in the WWE has given him, he could command respectable paydays while having the opportunity and creative freedom to build his character. Taking the professional risk to get himself over his way could easily lead to a mega return to the WWE down the road, next time with the element of surprise and more fans on his side. Would it be career suicide for Roman Reigns to leave the WWE, or is he talented enough to make it work in his favor? Sound off in the comments section below.